Understanding dating apps like Tinder and Bumble may help you meet someone new after a divorce. Only employ the dating apps if you are ready to date again. Do not attempt to compete with an ex-spouse in your new dating life. "Once you are open about your feelings, you can make a more lasting connection with others." You feel ready. You’re off the couch. You’re eating better. You’re exercising. You have a good job. You have a better understanding of what happened in your marriage and what you are looking for in a future relationship. You have a better understanding of what it takes to make a relationship function and what would make you happy in one. You feel ready. Whether you are single, married, widowed, or divorced, everyone has their own thoughts of how to find someone new. Some hang out at bars or nightclubs. Some frequent different stores in an effort to meet someone new. Others simply rely on their friends to put them in the social situations needed, in order to meet someone special. So many rely on these traditional methods, like those, to meet someone new, but with the evolution of technology and information, social interactions have become available at the click of a button. Cell phones, apps, and social media, as a whole, have revolutionized what it means to interact with one another, and that is no more apparent than in the dating culture. The dating culture may not be what it was before you were married and divorced, and that is okay. Thoughts regarding dating culture have evolved over the countless years of courtship and will continue to do so down the line. The latest point of the discussion in the ongoing conversation of dating is dating apps: applications you can download onto your smartphone and use to meet people. Apps like Tinder and Bumble are leading the charge in helping individuals meet one another and go on dates. The way the app works is you set up your profile with photos and a description of yourself. Then, you set the age range that you wish to interact with, and the app will eliminate people outside of that set range. After that, you are presented with a photo of another person. If you want to match with that person, you swipe right. If you don’t, you swipe left. Then, you wait for matches and messages. The messaging systems in these dating apps are where they differentiate themselves from one another. In Bumble, the women have to message you first, as opposed to Tinder, where either gender can initiate the first message. For a divorced individual, these dating apps are a carefree way of connecting with potential love interests, and there is not a lot riding on being said no to. There is no face-to-face interface that promotes the social anxiety of being rejected at a bar or a restaurant, which promotes the casual comfort that many desire while recovering from a divorce. It also gives you the opportunity to feature aspects of yourself that you may have been working on. You could have lost weight from meal planning and exercising recently. You could have gotten a new haircut or new clothing. Whatever you may want to show off in your profile photos, you have the opportunity to do so, within reason. You have another chance at being happy and beginning a new relationship. 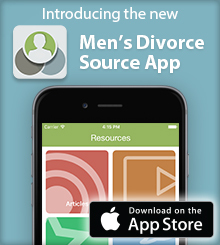 If you are unfamiliar with the culture and the technology, it can be difficult to imagine that any sort of app could create lasting relationships, but it’s important to keep an open mind, especially coming off of a divorce. The people you may date now may look or act a lot differently than your ex-spouse, according to The Huffington Post, and that is okay. Dating after a divorce is not about recreating your relationship with your previous spouse. It is about finding someone that can make you laugh. It’s about finding someone you can talk to. It’s about creating a happier, more functional relationship than the one you were in previously, and with the availability of 50 million active users on Tinder, according to the company and reported by the New York Times, and 12.5 million on Bumble, according to Forbes, connecting with that future special someone just became a little easier. This is not to say that dating after divorce is going to be easy, even with the availability of dating apps. The urge to call or text an ex-spouse may arise, but unless it has to do with a child or something urgent, it’s best to avoid the urge to discuss dating or other types of emotional subjects. Finding someone special after the divorce is not necessarily about spiting an ex-spouse either, nor is it about dating more people than your ex-spouse. This is not a competition. This is life. In seeking a new relationship through the use of the dating apps, you are looking to connect with another person and start a new bond. It’s not fair to the person or people that you are attempting to get to know, if you are attempting to compete against an ex-spouse. Making connections and starting a conversation can be intimidating for people not quite ready for the commitment of dating after their divorce, so only employ this technology when you are good and ready to do so. It can be beneficial to seek professional help beforehand, so that you are not using your dates as therapy sessions and talking about your previous marriage and ex-spouse the entire time. When starting a conversation with someone, make sure to wait until you feel that they are ready to hear more about your divorce or your previous marriage. Slowly easing a potential love interest into the truth of the matter shows that you care about their feelings and are sensitive to the situation, as a whole. Once you are open about your feelings, you can make a more lasting connection with others. In accessing this technology, you are recognizing that you are in need of the human interaction that you once had in a relationship, and while you’re not looking to repeat mistakes or recreate the relationship in any way, you can find modern and effective ways of establishing those bonds and starting that conversation.